That’s the dream that Wadsworth resident Cindy Housner had 20 years ago when she drafted the outline of what would become GLASA—Great Lakes Adaptive Sports Association—on a napkin at Mickey Finn’s, a popular Libertyville brew pub. On April 27, GLASA will celebrate 20 years of making a difference in the lives of those with physical and visual disabilities with a speakeasy-themed gala to be held at Lake Shore Harley-Davidson in Libertyville. The “roaring 20s” party will feature silent and live auctions, live music, a gourmet plated dinner, spirits, and casino activities. “This is our biggest fundraiser of the year and the financial support it brings allows GLASA to carry out our mission and provide sports almost daily year-round to those individuals who have a physical or visual disability,” says Housner, adding that she still has that napkin framed and hanging in her office. 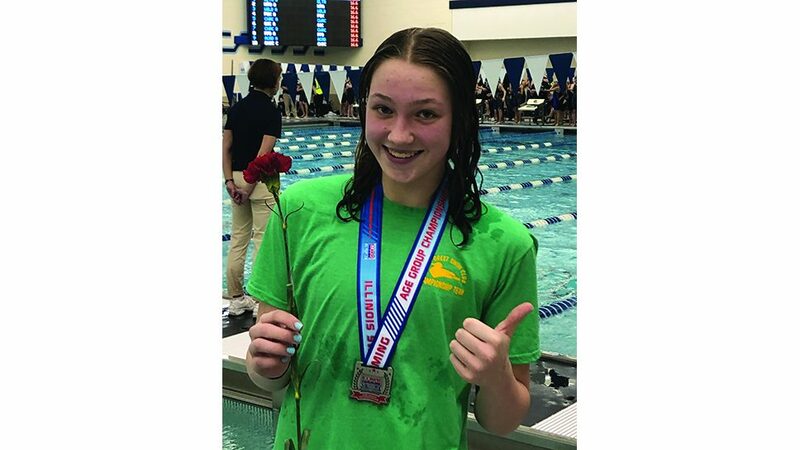 The mission of GLASA remains unchanged—to promote and support the optimal development and well-being of youth, adults, and military veterans who have a physical or visual disability through the provision of inclusive recreation, fitness, and competitive sports activities. GLASA Development Director Cherie Hrusovsky, who has worked with the non-Profit since 2007, says the 20-year milestone is a tribute to the founding vision and a promise for what the future might hold. 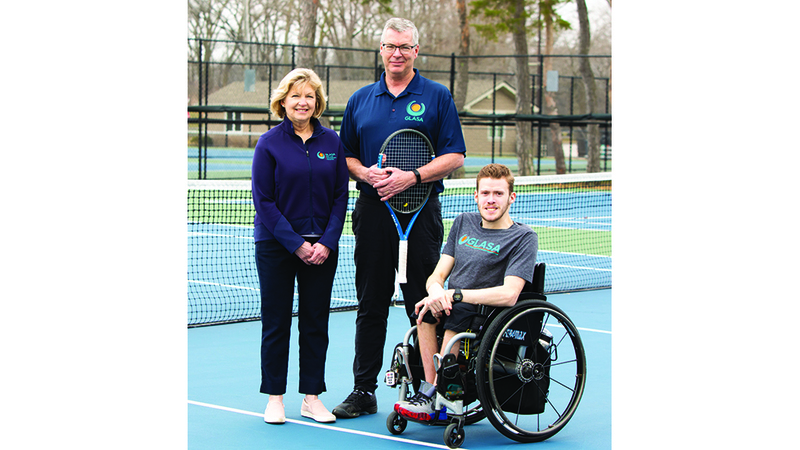 Among the athletes to be featured in this month’s anniversary gala video is Alec Tranel, who played multiple sports for GLASA and continues to participate in adaptive tennis but now also gives back as a coach. The key to making any sport adaptable, he has explained, is the equipment. Through the utilization of wheelchairs and other special devices, athletes can participate in swimming, wheelchair football, wheelchair basketball, tennis, track and field, sled hockey, and power lifting. Hrusovsky’s vision for the next 20 years is to keep doing what they do best and expand to offer more opportunities for athletes who have disabilities. “I would love to see an increased awareness on the North Shore and its surrounding communities, not only so our programs have resources to strive so that anyone who lives with a physical or visual disability will realize there is an organization that will help them stay healthy and active,” she explains. Housner says she is grateful for the support of talent, treasure, and time that has helped the organization she imagined on a napkin become one of the top Paralympic Sports Clubs in the country. For her, it’s been a life mission. She earned a B.S. degree in Therapeutic Recreation Adaptive PE from UW La Crosse and a Master of Science in Education from UW Milwaukee. Her credentials include serving as track coach for Team GLASA; Team USA Athletic Manager for Seoul Paralympic Games; Adaptive Sports, USA Hall of Fame Recipient and Gover- nor’s Path Award recipient; 2019 Rotary One, Chicago, Woman of the Year; and many more. And Housner, who has essentially worked in adaptive sports all her life, has a bold vision for the future of GLASA. GLASA currently provides programming for 25 different sports to individuals with physical and visual disabilities including but not limited to: amputation, cerebral palsy, muscular dystrophy, spinal cord injury, spinabifida, stroke, and visual impairment. The nonprofit provides recreational programming along with training and coaching to elite Paralympic athletes and specialized programming for injured military veterans. These opportunities are offered without regard to socioeconomic status but as Hrusovsky explains, that would not be possible without the support of the annual fundraiser and individual donations. An estimated 86.3 cents of every dollar donated goes directly to GLASA programs and the people they serve. With a track record like that, the future of GLASA is brighter than ever. Hrusovsky says the greatest reward that she has had working in the organization is seeing the motto—”Let No One Sit on the Sidelines”—come to life. GLASA is located at 27864 Irma Lee Circle, #101 in Lake Forest. The April 27 gala will be held at 7 p.m. at Lake Shore Harley-Davidson, 14000 W. Rockland Road in Libertyville. For more information about tickets or how you can support GLASA’s ongoing mission, visit glasagala.org.